Everton have been fined £500,000 and banned from signing some academy players for two years after admitting offering inducements to players and their families. The Premier League has handed out the sanctions, which prevent the club from snapping up young players who have been registered with another top flight or EFL club in the previous 18 months, after the Toffees launched an internal investigation when presented with an allegation of wrongdoing. A statement from the governing body said: "The Premier League has sanctioned Everton FC for breaching academy player recruitment rules. "The Premier League received evidence alleging that Everton Academy staff offered inducements to a player and his family to encourage the player to register with the club. "When presented with this information, Everton immediately admitted the allegations and set up its own internal inquiry which established that similar misconduct had occurred in relation to six other Academy players. 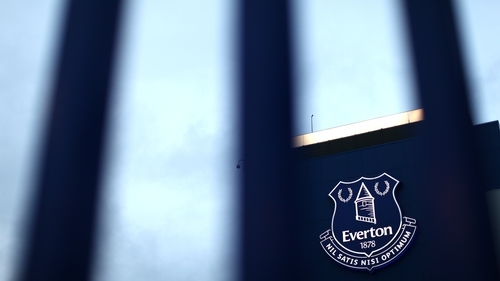 A club statement said: "Everton has worked alongside the Premier League over recent weeks to conduct a full and thorough investigation into allegations relating to our Academy's operational methods in some areas of player recruitment.